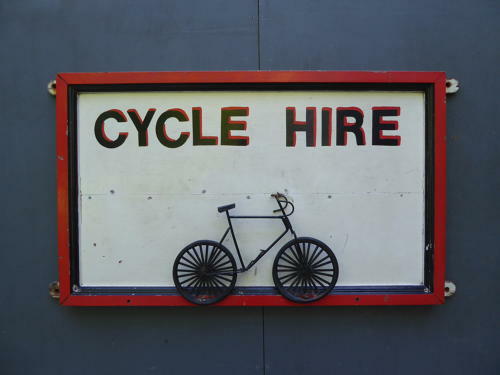 A wonderful large vintage 'Cycle Hire' sign. A great bit of fun, hand painted on framed timber & finished with a small wire bicycle with rubber wheels. A charming, unique & very decorative piece of 'folky' advertising. Wear commensurate with age, unrestored, displays well.